It’s Pier 39’s 40th Anniversary Party. 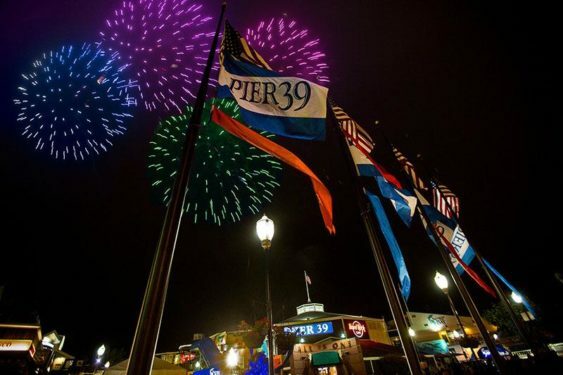 Please join Pier 39 on Saturday, October 13, 2018 for a night filled with music, fun, and fireworks. Start your evening at the smartwater Stage at the Bay End of Pier 39 with live music at 5 pm. At approximately 8:30 pm, ooh and ahh at the sky above Pier 39 as it is illuminated by a dazzling fireworks display.